As we’ve previously covered here and here on Suits by Suits, a battle is raging in the federal courts over whether the new whistleblower protections in the Dodd-Frank Act of 2010 apply only to individuals who report misconduct to the SEC. 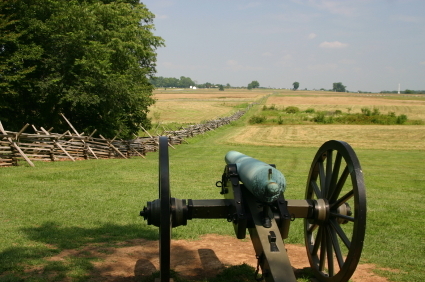 But the fight, to this point, is as one-sided as Pickett’s Charge. In a May 2013 decision, Judge Jesse Furman of the U.S. District Court for the Southern District of New York joined four other judges who have accepted employees’ expansive reading of the Act. Murray v. UBS Securities, LLC, No. 12-cv-5914 (May 21, 2013). The plaintiff in the case, Trevor Murray, alleges that UBS retaliated against him when he reported to his superiors that other UBS employees were pressuring him to put a positive spin on his reports, which involved UBS's mortgage-backed securities products. UBS, like defendants in other Dodd-Frank whistleblower cases, argued that the Dodd-Frank Act’s provision of a private right of action for retaliation is limited by the definition of “whistleblower” in another part of the Act. The part of the Act that discusses the private right of action addresses situations other than those in which a whistleblower reports information to the SEC (for example, when an “whistleblower” makes “disclosures that are required or protected under the Sarbanes-Oxley Act of 2002”). 15 U.S.C. § 78u-6(h)(1)(A). However, the Act elsewhere defines “whistleblower” to mean someone who “provide[s] information relating to a violation of the securities laws to the Commission, in a manner established, by rule or regulation, by the Commission.” 15 U.S.C. § 78u-6(a)(6). UBS and others argued that a “whistleblower” under the first section can only be someone who meets the definition of “whistleblower” in the second. Neither Judge Furman nor any other federal judge who has confronted the issue has accepted the argument. In his May decision, Judge Furman determined that the potential conflict between the two provisions renders them ambiguous. However, he deferred to the SEC’s interpretation, under which the agency decided that the Act's definition of whistleblower does not limit the availability of a private cause of action only to those who report misconduct to the SEC. He wrote that the SEC's view "clarifies an ambiguous statutory scheme the SEC was charged with enforcing and reflects the considerable experience and expertise that the agency has acquired over time with respect to interpretation and enforcement of the securities laws." We’ll still watch to see if any other federal courts disagree with this approach, or if any courts of appeals weigh in. But for now, employers appear to be waging a losing war over the language of Dodd-Frank.